Lot's of people struggle with writing a story, I on the other hand, do not. Well, not really. 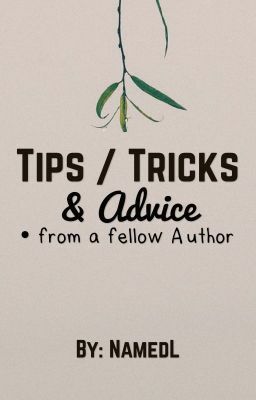 I have compiled tips, tricks and advice in the forms of chapters. If you wish to write a little better, please be my guest and read along! *Please be aware, that I am no way a professional. I am simply an amateur author who likes writing. Tip, Trick & Advice #1 - Like it & Know it.